Leafy, airy, and verdant, ferns bring drama and texture to the garden. They require little in return—just an appropriate spot where they can flourish. Here are a few ferns that have flexible siting requirements. 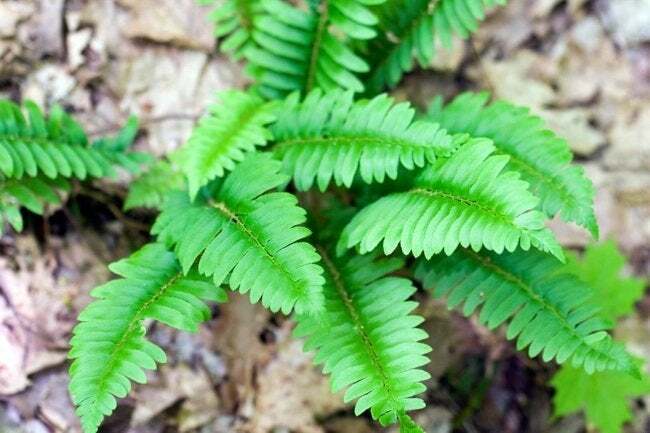 With a history dating back 300 million years, ferns have proven their staying power. Today, their frilled fronds and varied green shades entice gardeners who appreciate their graceful appearance as well as their easy maintenance and ability to spread. Although ferns do not produce flowers, their budding fronds, called fiddleheads, are a delicious addition to homemade salads in the spring. 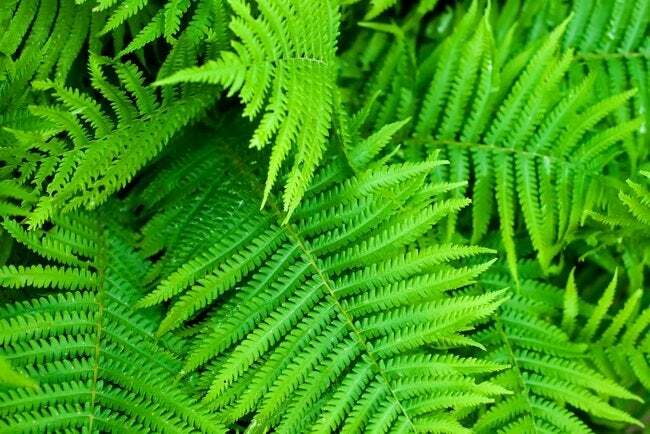 Ferns tend to flourish where there is shade and plenty of moisture, in soils with a high concentration of organic matter. They not only survive but thrive in locations that would test the endurance of other species—under trees, for example, or in wooded areas. It would be a mistake, however, to consider ferns as fit only for gloomy, humid glens. 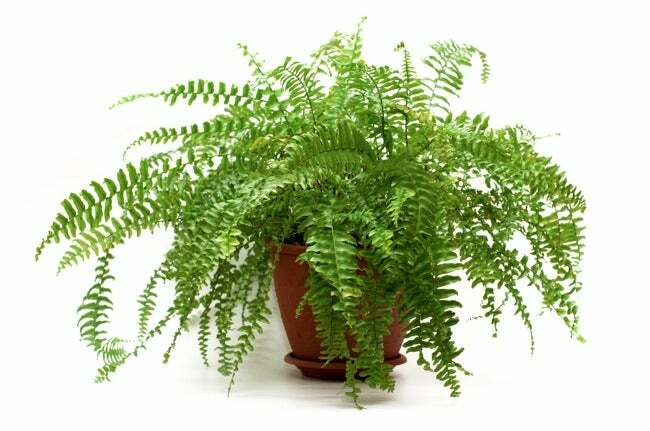 Among the large and versatile fern family, you can find a variety to suit almost any environment. Distinguished by its large, feathery, pale green fronds, the lady fern (Athyrium filix-femina) equally enjoys sun or shade, so long as there’s enough—but not too much—moisture. 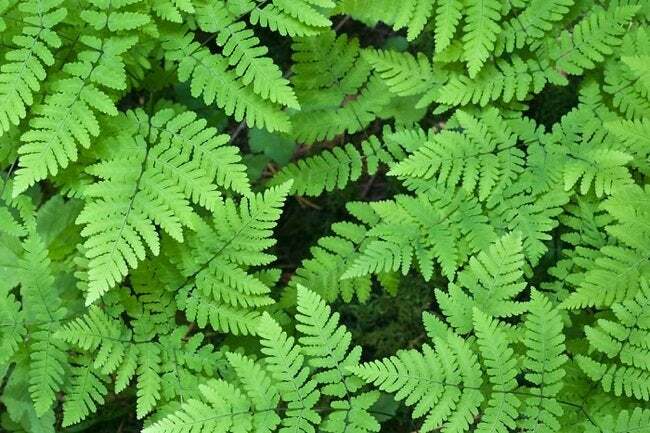 Another option is the evergreen lip fern (Cheilanthes), which tolerates partial sun, especially if conditions are dry and the site is rocky. 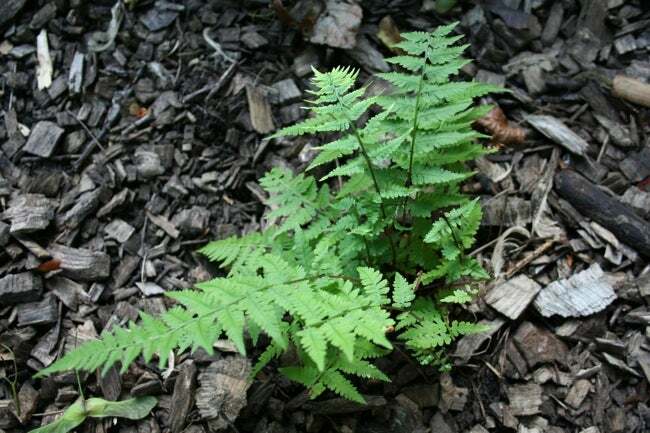 Common to woodlands of the United States and Canada, healthy oak fern (Gymnocarpium dryopteris) can be expected to spread out over time, making it a reliable ground cover, pleasing to the eye with its delicate, triangular, blue-green fronds. It prefers shade but does well in either moist or dry settings. Once used in holiday decorations, the Christmas fern (Polystichum acrostichoides) stays green all winter long. So too does the Japanese painted fern (Athyrium niponicum), whose fronds boast three distinct hues: green, maroon, and silvery gray. Both are hardy varieties requiring little care. Indoors, ferns do best in low light and high humidity. The easiest to grow are bird’s nest (Asplenium nidus), Boston (Nephrolepis exaltata), brake (Pteris), and the dramatic staghorn (Platycerium). Situate your selection in a north-facing window or beside a curtained south- or west-facing exposure. For best results, place a potted fern over a water-filled tray of pebbles, and mist regularly.